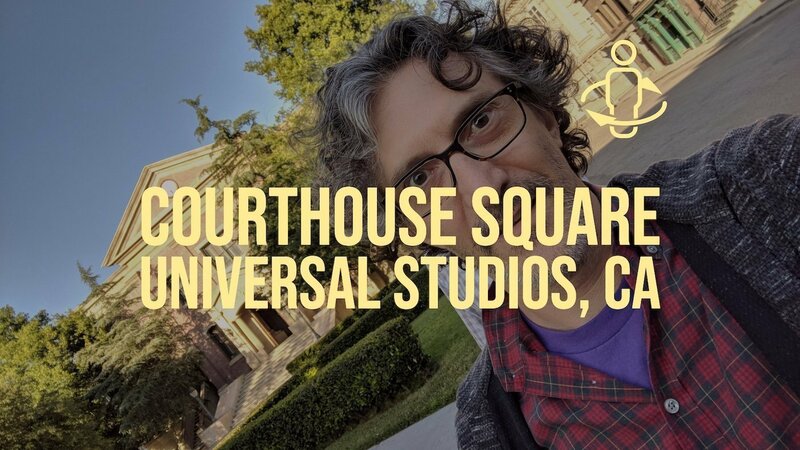 Courthouse Square is a backlot situated at Universal Studios in Los Angeles. The set is made out of a few facades that create the illusion of a model American town square with a courthouse as its focal point. The set is most celebrated for being highlighted as downtown Hill Valley in the Back to the Future series, and as Kingston Falls in the Gremlins movies. Predating "Back to the Future", the stage was known as Mockingbird Square as featured in the film "To Kill a Mockingbird". It has been seriously damaged by fire a few times over the years; 1957, 1990 and 2008. But after every fire it was rebuilt and given new life just like some of the Hollywood stars that walked its streets.